Last edited by Ladybug74 on Mon Dec 29, 2014 12:16 pm, edited 1 time in total. Just got a Spanish ToR as change by the bakery, first time ever ! Last edited by Ladybug74 on Mon Dec 29, 2014 8:01 pm, edited 1 time in total. Found yesterday : The Irish version of the 2 EUR "Treaty of Rome" ! Found in my village, last year : Treaty of Rome -> Slovenian version ! 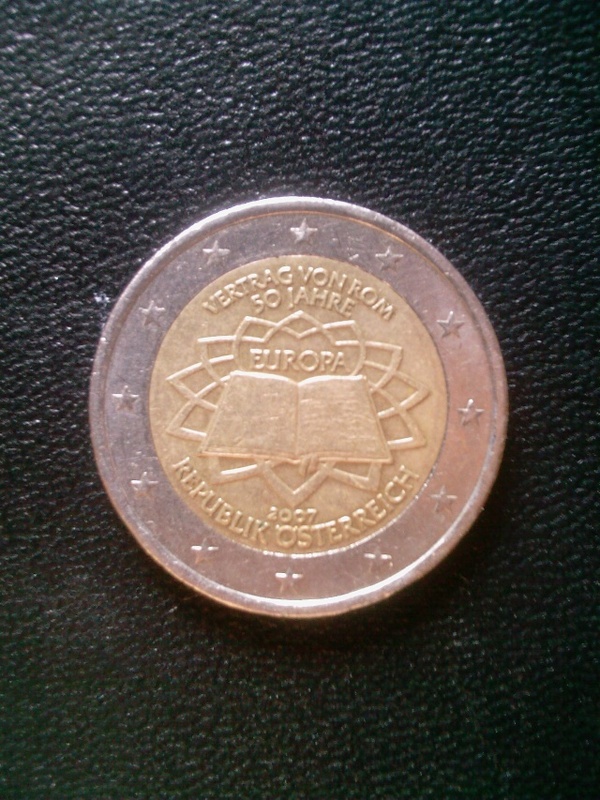 I've found a rare ToR Lëtzebuerg 2007 . It will be spend in Estonia next month. A good reason to update post 1. Already reported BUT I got a 2 cent at the Lidl in Bad Soden am Taunus . Belgian 2 cent coins are very rare where I live and the ones I have are hardly used 2000er`s. So for me, a 2007 is a very rare one which is a nice change in the German-domoinated cent world I live in .